Thought water-based adventures were just for the summer months? No, no, no. You’ll find the ocean-mad team at Newquay Activity Centre togged up in wetsuits and sharing their expert tips in everything from surfing to stand-up paddle boarding 360+ days a year (including throughout the Christmas holidays) and on New Year’s Eve they’re rallying up the locals for a charity ‘Cornish Castaway‘. The Cornwall Castaway is back again for 2018 and those participating in the event will be taken on a wild wintery adventure of a lifetime, and all for three great charities; SAFFA, the Armed Forces charity and the RNLI. 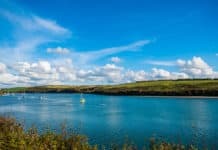 After getting kitted up in toasty warm wetsuits, participants will be guided on a thrilling coasteer adventure along a stretch of prime Cornish coastline as well as getting their paddle on using our incredible Super Stand UP Paddleboard’s! The adventure doesn’t stop when we’ve left the water. We’ll go on to learn some handy bushcraft skills including fire lighting and toasting marshmallows on a secret smugglers beach! Over a century ago in December, a vessel named the Osten washed ashore and became shipwrecked of the Cribber in Newquay. A crew of brave lifeboat men attempted to save the distressed boatmen, but unfortunately became capsized themselves in the stormy seas. The crew had to put their own knowledge of the ocean and survival skills into immediate action to save their own lives. Our adventure ‘The Cornwall Castaway’ re-enacts this feat of bravery by those very men. Do you think you’ve got the skills to survive? Following in these men’s footsteps will begin at our activity centre in Newquay, where we will organise groups of all ages to join our awesome team of coasteering, SUP and survival experts. We will supply the groups with the toastiest, warm winter wetsuits and all the necessary equipment to tackle this adventure. After a thorough safety briefing, the groups will begin to embark on this historic coastal adventure by making their way to the coastal fringe. The Fly Sellers is the first stop to be explored and is an iconic landmark, shrouded with cultural heritage and history. From there it’s off to explore the coves and caves of Newquay’s coastline. This truly special adventure is not only about taking the plunge and seeing if you’ve got the skill’s to survive but is also a really amazing chance to learn about the coastline. 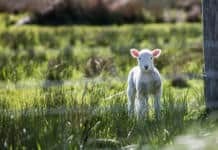 Our coastline has a huge and rich history, tales of smugglers and pirates and also a thriving ecology for those with an interest in mother nature and science. We’ll be climbing, traversing and leaping from the rocks around the coastline. Participants will then be using our Super Stand UP Paddle Boards, we’ll be paddling around the coasts secret nooks and crannies before mooring up at a secret beach to put our newly learned bushcraft skills to use, making and lighting a fire and toasting marshmallows! You’ve never explored anywhere like this! It’s hands down the ultimate way to kick off the New Year in style, fuelled by adrenaline, fun and a good dose of the Cornish sea! So take the plunge and join The New Years Eve Cornwall Castaway. The adventure takes place from 12 noon on December 31st and costs £45 (or an affordable charity donation). All proceeds go to SSAFA, the Armed Forces charity and RNLI. End 2018 with a splash and make this New Years Eve one to remember! To participate please contact Newquay Activity Centre on 01637 877722 and get booked in (pre-booking is essential)! 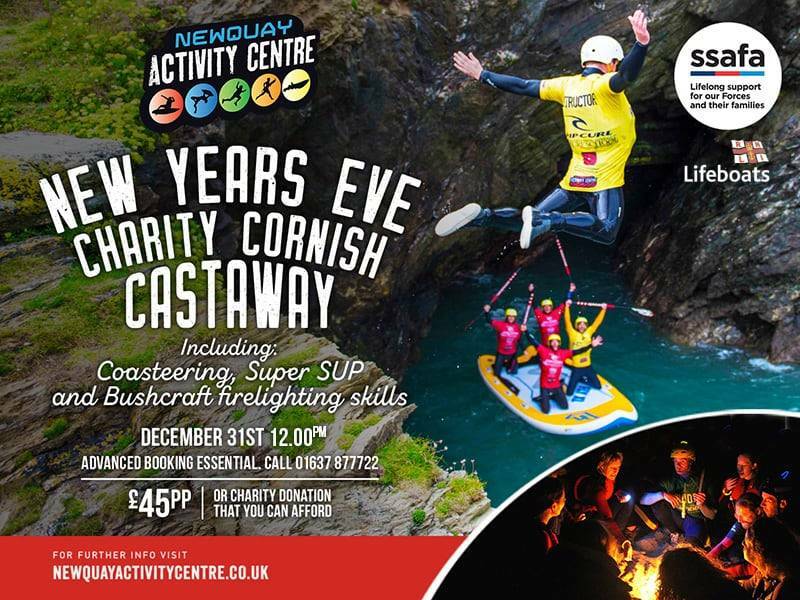 If you don’t fancy taking part, please feel free to join us at Newquay Activity Centre and lend your support to the adventurous Cornwall Castaway fundraiser on New Year’s Eve! Next articleAnother GOLDen night for Newquay Activity Centre!